By selecting this box, you consent to signing this Agreement electronically. You further agree your electronic signature above, and initials below are the legal equivalent of your manual signature. Also, you hereby acknowledge and agree to the terms and conditions of this Commercial Ground Transportation Permit. Please type your initials in each of the boxes below to signify you have read and understand the terms and conditions. The initial term of this Agreement shall commence on the date of issue and terminate at 12:01 a.m. of the 1st day of the following month; therafter, the Agreement shall automatically renew on a month-to-month basis unless or until written notification of intent not to renew is given by either party, one to the other. This Agreement will be subject to suspension or revocation in accordance with these Permit requirements and the Airport Rules and Regulations (AR&R) and the Ground Transportation Operating Procedures (GTOP). The Permit, if issued, shall grant the applicant, herinafter called Permit Holder, the privilege to pick up passengers at the Savannah/Hilton Head International Airport as a commercial ground transportation operator in accordance with these terms and conditions, AR&R, and GTOP using the commercial passenger vehicle described on this application. Permit Holder agrees to pay the required fees as outlines on the Rates and Charges Schedules (found in GTOP) and shall be responsible for any and all fees attributed to the assigned Reader/Access card, except for fees and charges accumulated after receipt of the appropriate written notification to the Commission of a lost or stolen card. Permit Holder agrees to pay a cash deposit as outlined in the Rates and Charges Schedules for each Reader/Access card issued as guarantee for the performance of the obligations under this Permit. Upon termination or revocation of this permit, if Permit Holder fails to return the assigned Reader/Access card to the Commission, the deposit will not be refunded to the Permit Holder. Permit Holder attests that the vehicle described on this form is owned by the Permit Holder and no subterfuge exists with another person with regard to ownership of the vehicle. Permit Holder shall be held responsible for the operation of the vehicle at the Savannah/Hilton Head International Airport. Any and all applicable rules, regulations, orders, ground transportation procedures, or directives of the Commission or its Executive Director which are now in force or which may be adopted hereafter and which may be amended from time-to-time, with respect to the operation of the Airport, including restrictions on commercial ground transportation procedures. Any and all orders, directions or conditions issued, governed or imposed by the Commission or its Executive Director with respect to the use of the roadways, driveways, curbs, sidewalks, parking areas or public areas on the Airport,; and any and all applicable laws, ordinances, rules, statues, regulations, or orders, including but not limited to, environmental statutes, regulations or orders of any governmental authority, federal state or municipality, lawfully exercising authority over the Airport or Permit Holder's operations. The Commission shall not be liable to Permit Holder for any diminution or deprivation of Permit Holder's privileges hereunder on account of the exercise of any such authority. Permit Holder agrees, as a condition of this Permit and to maintain the same to attend a Customer Service class conducted by Commission. Annual attendance is mandatory or at any time the Executive Director determines attendance is required. It is the sole responsibility of the Ground Transportation Permit Holder to obtain and maintain at least the minimum coverage levels and types of liability and property damage insurance as required herein. If such minimum levels of liability and property damage insurance is less than levels of types required by any governmental authority, federal, state and/or municipality lawfully excercising authority over the airport or Permit Holder's operations, then the Permit Holder must carry the limits and types required by such governmental authority. Taxi Operator - Permit Holder shall be responsible for obtaining and maintaining continuously in effect at all times during the Term of this Permit, at Permit Holder's sole expense, public liability and property damage insurance as provided by ordinances of the City of Savannah (Section 6-1426). All Other Ground Transportation Operator(s) other than taxi - Permit Holder shall be responsible for obtaining and maintaining continuously in effect at all times during the Term of this Permit, at Permit Holder's sole expense the following types and amounts of insurance as follows: General Liability $1,000,000 CSL; Automobile Liability $1,000,000 (Exception: $500,000 CSL for vehicles with seating of 5 or less), ref. Commission Rules & Regulations, Section 3; and Workers' Compensation coverage, if applicable, in compliance with Georgia Statutory Limits for Permit Holder and Permit Holder's additional drivers. All insurance outlined above shall protect the Commission, its officers, agent and employees against liability by reason of Permit Holder's wrong conduct incident to the company's normal business operation from any accidents occurring on or about the roads, driveways, or other public places used by Permit Holder at the Airport. In addition, all Certificates of Insurance must by endorsed to include the Mayor and Aldermen of the City of Savannah and the Savannah Airport Commission as Additionally Insured thereunder. Permit Holder shall provide Commission with a Certificate of Insurance reflecting the above coverages. The Certificate of Insurance shall provide no less than a thirty (30) day prior written cancellation notice and/or change in contract terms to the Commission. Indemnification - Permit Holder shall protect, defend, and indemnify Commission and its officers, agents and employees from and against any and all liabilities, losses, suits, claims, judgments, fines or demands arising by reason of injury or death of any person, or damage to any property, or other liability including all reasonable costs for investigation and defense therof (including but not limited to attorney fees, court costs, and expert fees) of any nature whatsoever arising out of or incident to the issuance and use of a Permit and/or the use or occupancy of Airport property or the acts or omissions of Permit Holder's officers, agents, employees, contractors, subcontractors, licensees, or invitees, regardless of where the injury, death, damage or other liability may occur, unless such injury, death, damage or other liability is caused by the sole negligence ad willful misconduct of the Commission. The Commission shall give to Permit Holder reasonable notice of any such claims or actions. The Permit Holder shall also use counsel reasonably acceptable to Commission in carrying out its obligations hereunder. The provisions of this section shall survive the expiration or early termination of this Agreement. Permit Holder hereby agrees to comply with the non-discrimination requirements set forth by Title 49 CFR Part 121 as outlined in the GTOP. Any notice or other communication to Commission or Permit Holder pursuant hereto shall be deemed validly given, services or delivered upon deposit in the United States mail, certified, and with proper postage and fees prepaid, addressed to Commission or Permit Holder, respectively at the addresses hereinafter shown or at the address hereafter specified in writing. 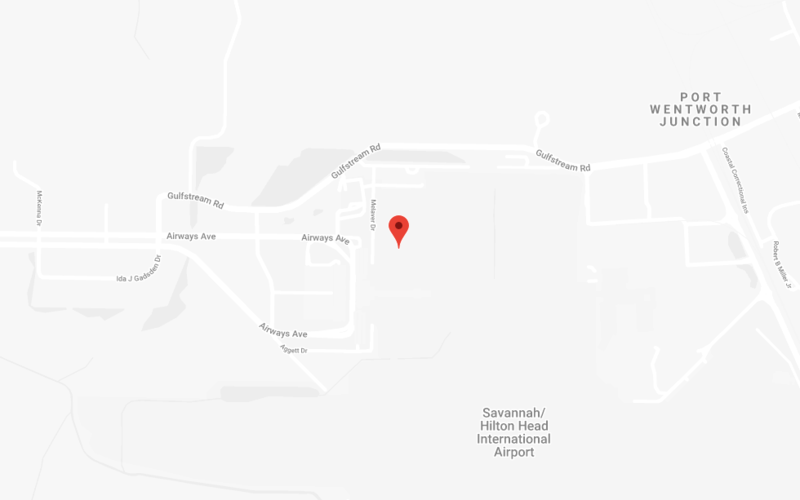 Notices shall be addressed to the attention of: Executive Director of the Savannah Airport Commission at 400 Airways Avenue, Savannah, GA 31408. This permit agreement shall be deemed to be made and construed under the laws of the State of Georgia.